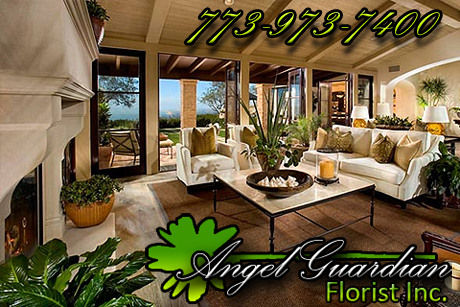 Angel Guardian Florist, Inc. is the premier full-service floral provider of Interior Landscaping to individuals and corporations in the greater Chicagoland area. Our distinctive interior floral installations add instant impact to any environment, hotel & corporate lobbies, office reception areas, retail shops, and residential homes. Inspired by the seasons and your interior surroundings, our signature designs feature unique varieties of floral arrangements, colors, and container combinations.